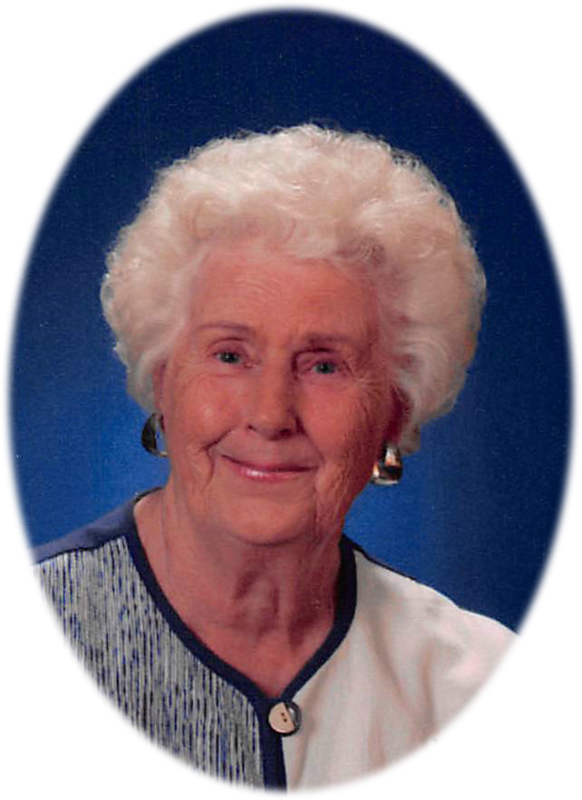 Alma L. Jensen, age 94, of Hinsdale, Montana, passed away October 16, 2018 at Valley View Home with her family by her side. She was born September 14, 1924, to Albert and Ida (Hookland) Nelson. Alma went to school at the Hinsdale School graduating in 1942. She married Jens Frank Jensen in the First Lutheran Church in Seattle, Washington on August 20, 1944. They moved to Jacksonville, Florida, where Frank was stationed in the Navy. After Frank was discharged from the Navy in September 1945 they returned to Seattle, Washington. They returned to Hinsdale when Frank decided to start a dirt construction business and purchased the River place east of Hinsdale. After he retired from his construction business he purchased Albert Nelson farm north of Hinsdale. Alma loved being back up at the homestead. Cooking meals for the harvest crew was always a highlight for family in the fall. Survivors include: David (Voni), Tyrone (Jordan), Wyatt, Summer and Shelby Jensen, Tiffani (Mike) Ottoboni, Carol (Garth) Allingham, Tracie (Dan), Abigail, Hunter, Bridger, and Emma Beck, Darcie (Danny) Fast, Connie Osen, Dane Osen and Aden Perkins, Desi (Rob) Frank, and Ailene Benedict, Kirsten (Tim Branda) Osen, and Otto Osen, Frank C. (Dawn) Jensen and Alysa; Alma’s sister Darlene Jones and sisters-in-law Joy, Francine and Marilyn Jensen. She was preceded in death by husband Jens Frank Jensen, grandson Daniel Black, her parents and siblings Adeline Bomsta, Edith DeWalsche, Esther Lacock, and Tom Nelson. Alma was a member of the Hinsdale Lutheran Church and WELCA, Eastern Star, American Legion, Montana Cowbells. Alma was also a Girl Scout and 4-H Leader, Sunday School teacher. The family will receive friends on Friday, October 19, 2018 at the Bell Mortuary in Glasgow, Montana from 6:00 – 8:00 p.m. Funeral Services will be 11:00 a.m., Saturday, October 20, 2018 at Hinsdale Lutheran Church in Hinsdale, Montana with burial following at Hillview Cemetery in Hinsdale, Montana. A luncheon will follow at the Hinsdale American Legion Hall. Condolences may be left at bellmortuarymontana.com. I am saddened to hear of Alma’s passing. I always found Alma to be a very friendly person and I enjoyed visiting with her. It is a testament to her that all of her children are such friendly and caring people. So sorry for your loss. I have very fond memories of Alma. Thoughts and prayers with the family of Alma Jensen. I always always enjoyed seeing and visiting with her when I was growing up and when I was visiting at prairie ridge. Alma was always very classy, caring and considerate. You will be missed by many in the community.